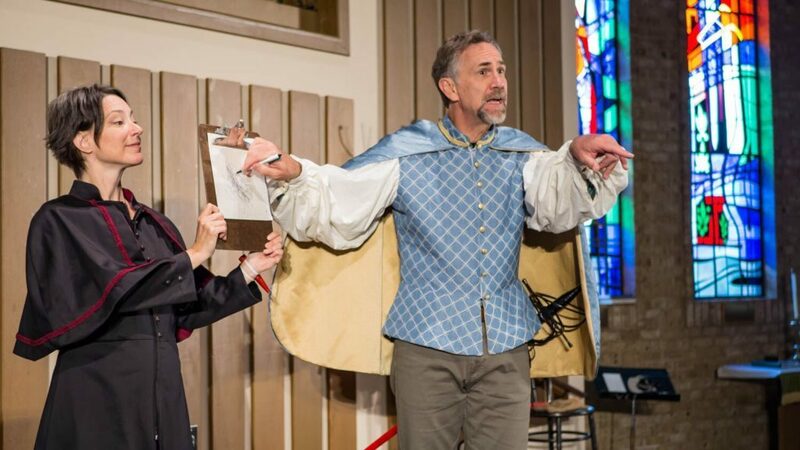 Don’t miss upcoming opportunities to see Ted & Company’s performance of DISCOVERY: A COMIC LAMENT coming to Seattle Mennonite Church on Saturday, February 16, and then to Albany Mennonite Church on Saturday, February 23. Both shows begin at 7:00pm. Michelle Milne and Ted Swartz in Discovery: A Comic Lament.